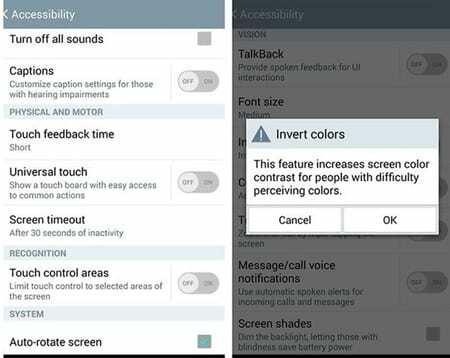 Let’s have a look at the guide to Invert the Colors on Your Android Phone’s Screen using the inbuilt settings of your android phone. So have a look at complete guide discussed below to proceed. Grab the attention of your friends by doing some amazing tricks on the Android device. There are actually lots of tricks and tactics on the Android device that could be learned for the fun purpose or even the useful tricks for productive reasons are also there. For us, the new kind of trick that is really amazing is Android phone’s color display color amendments and inverting that all to ghosty look. Your group could be surprised or shocked to show the display error of the device and even the people could be made curious to see how if you changed the regular color mode of the screen to negative effect. Anyhow till now you would have also got the tint of all what is being written in this article and for what it is about. The thing still to be known is that there is no such option or the settings inside the Android for the same trick then how could this be possible. Worry not just keep on reading this article till the end so that you could be able to learn about the colors trick. After learning this trick don’t forget to show it over the comments section box and share the reactions of your friends. We believe this should be more than enough for the introduction so just carry on and start to read about the main part of this article where the whole method is described! The method is quite simple and straight and you just need to follow the simple step by step guide that we had discussed just right below. #1 For the change of the colors over the Stock Android, just head to the Notifications panel. This could be grabbed by pulling down the screen from the top of the display ( How good are you man but we actually knew that!! This would be your reaction for sure I know ). Now once you have the panel over the screen you will be able to see an option named Invert Colors under the traditional scrollbar of the set of icons. #2 The above settings are for stock Android but for the San=msung Galaxy devices you need to head on to the Settings and then Accessibility. Under this section you have to make the settings for the same, simply go there and look for the Vision option and then turn on the Negative Colors for the same. This shall make up the coloring changes and you would be able to see your screen reflecting the invert colors over the display. 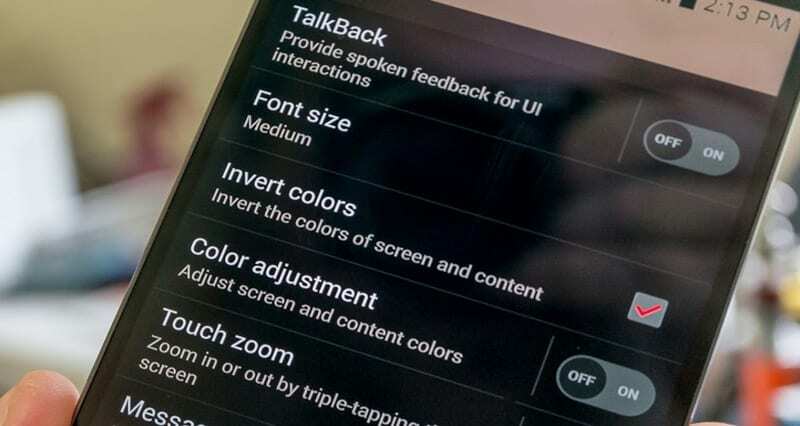 #3 Now it doesn’t mean that the same option for the invert colors would be present in the every Android device while it is present in any of the latest versions of OS. Go and enjoy using the above method to make the display changes and if it is not good looking then you know the process is always reversible! Finally, this is the ending point of this article till where you have got to know about the whole information regarding the way to invert the colors on your Android Phone’s Screen. We have written this post in the simplest and the short form so that you people could get to know accurately about the method. We hope that you would have liked this article and the information written up here. If it is so then please share it with others. Do comment on the quality, information of this post and evaluate all of your precious suggestions and opinions over this page. Your indulgence through the comments will guide us more to make some more of the content like this and we could even get better in some of the parts.